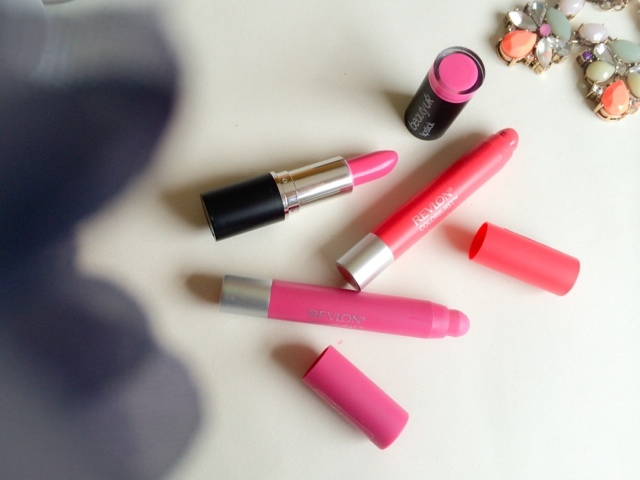 Lou Loves Beauty: Spring Picks..
3. Lighter more spring time make up and accessories. I know that's its hardly sun bathing weather here in England but we have seen the occasional sunny day and in the stark light of the sunshine the wintery heavy make up can look just too much. These months ahead are a time to embrace that "natural look", I use that term loosely as if you know me at all my make up is anything but natural, but I do like to tone it down a wee bit. First and fore most Bronzer... this is your best friend for livening up the skin and adding that much needed glow and warmth to it. Sweep a small amount ( you can always build it up) across your face concentrating on the high points like fore head, cheeks and a tiny bit across the nose, just anywhere the sun would naturally hit your face. This will put some life back into your skin, the skin that saw some beating in the colder months, this is its time to shine! 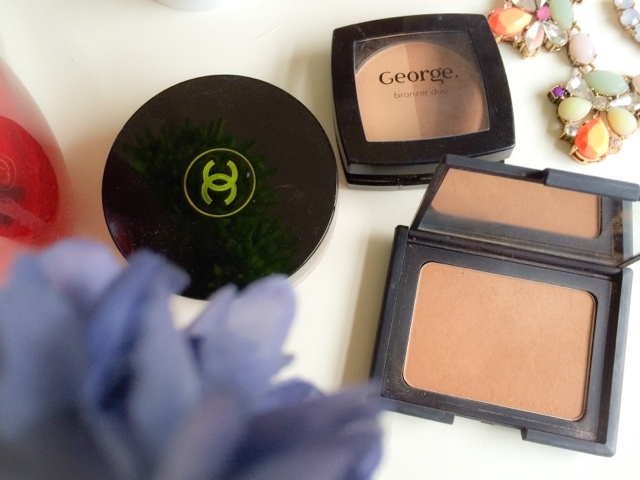 For powder bronzers that are not too warm/orange but still give off that sunkissed glow there is Nars Laguna and a cheaper option is Asda's George 'Bronzing Duo'*. If you're more of a cream bronzer fan there is of course Chanel's Soleil de Tan, I do think it's more on the warmer side compared to the other two and can look a tad orangey if over done but feels and looks natural and light on the skin. Keeping on the light "natural" theme...Mineral make up can be a god send when the weather warms up. The filling milled powders airbrush any imperfections, but still allow your skin to peek through and breath making it look natural and virtually undetectable. 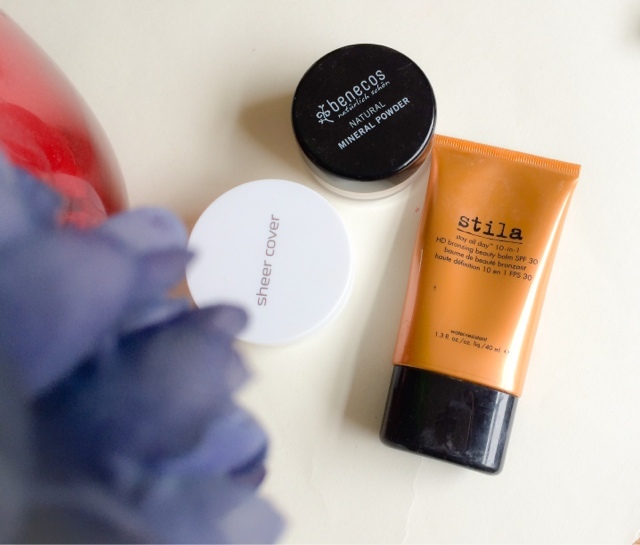 Mineral make up is also perfect for spot and acne prone skin as the powder doesn't clog pores and can aide oil control as the formula's helps to soak excess sebum. 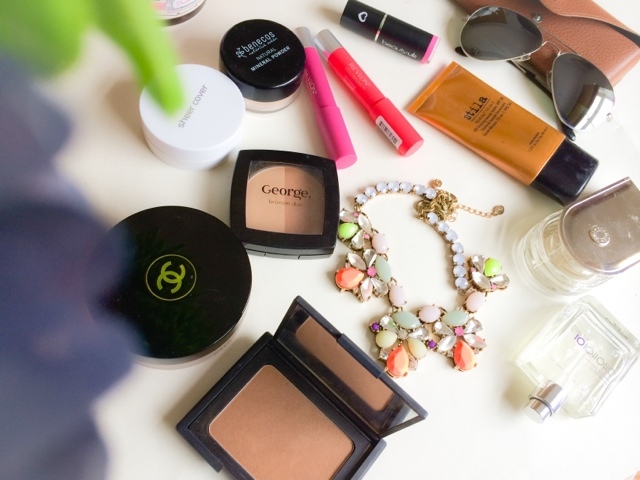 The two I like using are Sheer Cover's Mineral powder* and a powder foundation from the all natural brand Benecos*. When the sun pops out its essential to wear SPF, I know we should be wearing it all year round, but hey I'm a rebel and it's the last thing on my mind in the wind and rain, FACT. But I do like to wear something when I know the suns shiny rays will be gracing my body and especially my face. The Stila all day 10 in 1 bronzing bb cream is perfect for me as it contains SPF30 and also bronzes up my face, brilliant if your a fake tan wearer like myself and find your face is always paler than your body! Its gives a natural bronzed effect ( note; is does look super scary when first applied but done sheer down when buffed into the skin,.. promise. But if you are super pale this might be a bit dark for you). My scents tend to be more of less the same all year round, I'm not into floral and sweet aroma's opting for spicy and earthy tones but these two tick all the right boxes for me. Hermes 'Voyage d'Hermes' is fresh and still has the woody notes that I love, making the fragrance really clean smelling and great when things start to get all hot and sticky. Escentric Molecules 'Molecule 01' is another fresh and spicy scent which smells different on everyone and can be layered with other fragrances to change the notes into a fresher more up lifting scent. I love mixing this with my deeper perfumes to lighten them and make them more spring time appropriate. The 'Rio Ultimate Necklace' has been a staple part of my wardrobe every since I received it for my birthday a few months back. 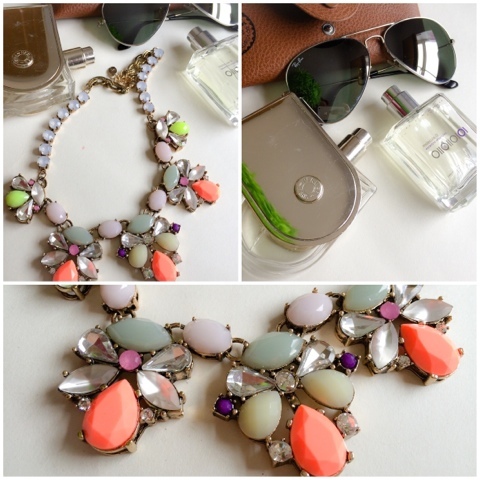 The bright statement piece necklace is perfect for adding a pop of colour to any daytime or evening look. I'm not brave enough to go all out on my summer wardrobe just yet but this sees me through the transition period perfectly.